Lisa Owen and her partner, Vivian, own a successful signage company, Adobe DeSigns, in Minneapolis, Minnesota. As far as they know, they are the only woman and minority-owned signage company in the state. Leading by example, the two are attempting to change the way the construction industry operates in the state. It’s a daunting task, but one Lisa says she is well equipped to take on. Several years ago, Lisa would never have guessed she’d be a small business owner. But following a major life change, she decided to enroll in Minneapolis Technical and Community College (MCTC) which set the wheels in motion. Her father, Sydney Beane, happened to be a professor at the school, and introduced her to the Community Development Program (CDP), a degree program affiliated with Community Learning Partnership. “My father explained the CDP program to me,” Lisa said. “It seemed like a really interesting place to start because of the variety of classes I could take.” Also, MCTC had developed a pathway to Metropolitan State University, where she could complete a 4-year degree, which was her ultimate goal. The first thing to strike Lisa about the CDP program was just how familiar the coursework’s emphasis on community building and organizing felt to her. Much of her prior experience to community building, Lisa says, is owed to her background and upbringing. Newer to Lisa, however, was the cross-cultural elements underscored in her coursework. For an assignment in a multicultural communications class, for instance, Lisa and her classmates were asked to interview someone of a different culture. “There was a Somali student who was also in program, and we interviewed each other,” Lisa said. “We got to ask each other questions we may not have felt comfortable asking in a different setting,” such as the purpose of certain cultural traditions important to each. “We found a lot of differences, but I was more impressed by the parallels. 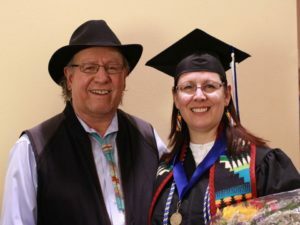 Somali and Native Americans have more in common than you might think.”While she was still pursuing her 4-year degree at Metro State, Lisa and her partner hatched the idea to create a signage company. “I created an individualized study program that I built around being a small business owner,” Lisa explained. 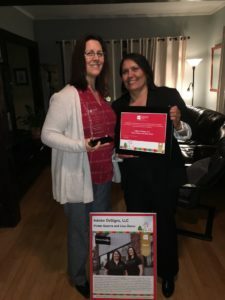 Lisa may not have pursued a traditional organizing career as did some of her CDP classmates, but she nonetheless found herself applying much of what she learned to her life’s work. In particular, she often finds herself applying an organizing staple—the “one-on-one”—which is a relational meeting used by organizers to learn about someone’s motivations, concerns, and resources. As for the future, Lisa hopes to keep growing her business. But additionally, she’s begun looking for ways to engage further with her community. “I just got elected to Indian Chamber of Commerce board,” Lisa said. 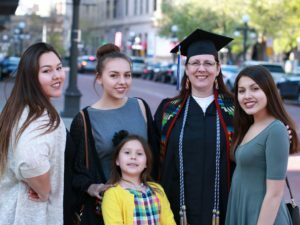 “And I’m on the Minneapolis Indian Child Parent Committee for my daughter.” She hopes to look for additional ways to become involved and apply her CDP training, particularly now that she’s done with school. “Don’t be completely dependent on your degree to get where you want to be,” she says. “You have to use what you’re learning to build relationships along the way.” For this reason, she appreciated that MCTC provided her with many opportunities to do so. “They brought in people that were doing work in the community and guest speakers.